How did you hear about the CLTRelo program? Which New Communities Are You Considering? Which Builders Are You Considering? Our program will give many buyers the ability to move forward with the purchase of a new home, who would otherwise be unable to, we feel strongly that most builders will be excited to take part in our program. If you are currently working with a Realtor®, we are not looking to break your current relationship and we will not do anything that would encourage you to sever the relationship between you and them. Lastly, our program is designed for clients who have a home that should sell in a reasonable amount of time (3-6 months if priced correctly.) If we feel your home meets this criteria, let’s get building! Are there other benefits of the program? You bet! Our team has over 25 years of experience working and helping buyers with new construction homes. 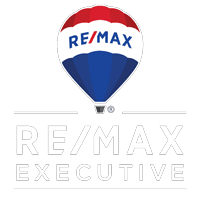 Our founder spent 10 years working for the largest homebuilder in the United States (PulteGroup) and understands that buyers can and should be represented by a knowledgeable agent. He saw too many people not asking the right questions and not understanding what could and couldn’t happen to adjacent land. For most transactions, builders will pay the Realtor® commission on your behalf, but you shouldn’t have an agent because it’s free, you should have one because they provide value throughout the building process. That is exactly what The Baxter Team provides! In addition to having an agent on your side that understands the process, The Baxter Team also has a New Home Construction Specialist who’s built over 150 homes in the Charlotte area. Before joining the team, he worked as a Building Superintendent with PulteGroup and Simonini Homes. He will oversee the building process of your new home from start to finish while communicating with you along the way. Which builders work with this program?